you will be working with models that are used globally to measure and manage Credit Risk at ING Bank. In particular, the models in scope are used for calculations of the Loan Loss Provisions (IFRS9) as well as the Regulatory (Basel II) Credit Capital. The Credit Risk Team is an energetic international team of highly qualified professionals within the Model Risk Management department. This fast growing team is responsible for validating the risk models used by ING worldwide. We assure that models are appropriate for intended use and compliant with internal policies and external regulations. Our goal is to increase the ING’s understanding of a model’s limitations & weaknesses and contribute to ongoing model improvement to ensure the added value of models. What does a Risk Professional at ING? 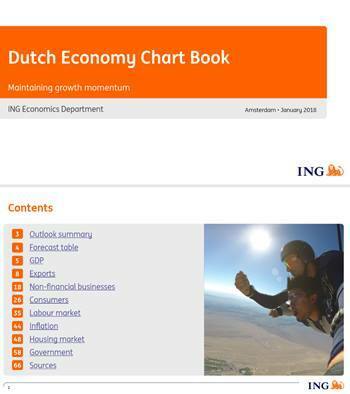 ING uses quantitative models for a large number of purposes and form an integral part of our strategy. You will be working with models that are used globally to measure and manage Credit Risk at ING Bank. In particular, the models in scope are used for calculations of the Loan Loss Provisions (IFRS9) as well as the Regulatory (Basel II) Credit Capital. In addition, the team has the ambition to expend the scope to non-regulatory models such as underwriting models, pricing and early-warning systems. Participating in meetings with model developers, senior management, internal & external audit and the European Central Bank. Interests in applying your quantitative background in the financial services industry. Excellent communication skills and ability to write clear reports in English. A dynamic and agile international working environment! Please send your application for Model Risk Management Credit Risk at ING in Amsterdam including your CV via our website.